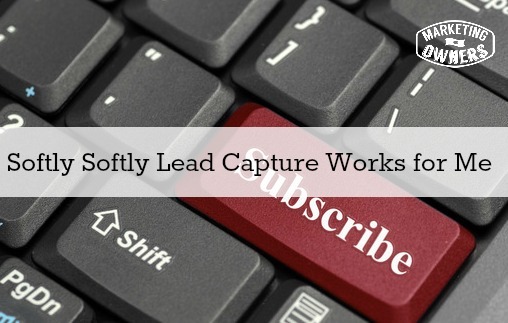 Today we are going to talk about why Softly Softly Lead Capture works for me. It’s about our perpetual sales cycle, where it involves the six P’s of Modern Marketing. Did you catch that? If you were paying attention, you will notice that I added an extra “p” to our 5 P’s of Modern Marketing. So how do you get Perpetual Sales in marketing? It is through the third ‘p’ which is Permission — that’s the optimum way you ask people. You offer them something and they give you permission to market to them. Now it may sound like a bit of a contradiction, but it is actually how this works if it’s done properly. It’s very important to do it properly. I am in marketing so I look at a lot of Internet marketing websites and see how often it is done badly. Some of them are so annoying. You hear people say I don’t like pop-ups — in fact, a lot of people, when I speak to them, say they all get that. The first thing they say ‘oh I don’t like pop-ups’. Now first of all pop-ups work! The reason that you don’t like them is that you’ve possibly seen them over and over again as you’re looking. The person looking at your website generally isn’t an Internet marketer or marketing and it’s the first time. However, there are tasteful ways to do pop up but I don’t use one. Go to MarketingforOwners.com and look around. Now there are if you look in the blog section or podcast section you’ll find on the sidebar that there it an ad for our eBook, which is fabulous by the way. The 71 Ultimate Marketing Tools is becoming very popular and I am getting a lot of good feedback from that and a lot of downloads. If you click on that then you get a pop-up but only to enter in your name and your email to get it. That’s not the same as a lightbox or big flashing pop-ups that stops you from reading the website and interrupts you because remember we don’t like interruption marketing — which is what advertising on TV is and to be honest pop-ups although I don’t mind. Pop-ups are interruption marketing that captures attention; I don’t think that they are entirely necessary and I would like to say that. The Marketing for Owners website proves it, and we do test everything and will experiment. Perhaps one day we will test that just to see the engagement but no need to undermine because it’s there. Now if you go to the homepage at the top it will tell you about The Owners Club. This is our membership subscription site, it’s completely free. What happens is when you’re logged in as a member everything on this website that is hidden or that requires an opt-in is just there. All that good stuff that you just can’t see because you’re passing through fly and by, taking you time and having a nice day you won’t see it until you become a member. So, It’s nothing for sale, don’t you worry yourselves, I have nothing for sale. Nothing coming anytime soon we just don’t need it. It’s the whole principle of what I teach. But anyway go to the homepage it will offer that, go to the other parts of the website it will offer other things. Go down to the end of the post it’ll probably say if you like this you’ll like that. Go to the about page find a little bit about me, who I am, where I’ve been, what I’ve done. In the end it’ll say if you like this come and check out and you are then choosing. It’s in your power, you are not being forced to do anything, and it’s not being pushed in your face. It’s giving you the option; it’s giving you a cool direction. If you like this do this so you follow it through, in the sidebar you’ll find that it has an option there. It also has a choice you can actually click on that image or you can click on the orange button under; they both do the same thing. They are both separate items and, funnily enough, more people click the image then click the button. There’s interesting things, how many of you have websites with images that you cannot click or if you do click they don’t do anything? People click images people! Lesson learned, but it all goes to prove that you don’t need to be in someone’s face to force them to opt in. You don’t need to annoy them, you simply do it softly. By the way, what we do works. The type of the pop ups that we use it gets people to opt-in. It’s a system called lead pages and it’s fabulous. I will tell you about it in another podcast, but it costs money. So it’s not something that I’ll say you need — you can do this with a free plugin something like “SumoMe”. Again all details tucked into website somewhere. It’ll be a recommended tool we’ll talk about that one day. It’s Thursday, which means that it’s time for our drive time podcast. 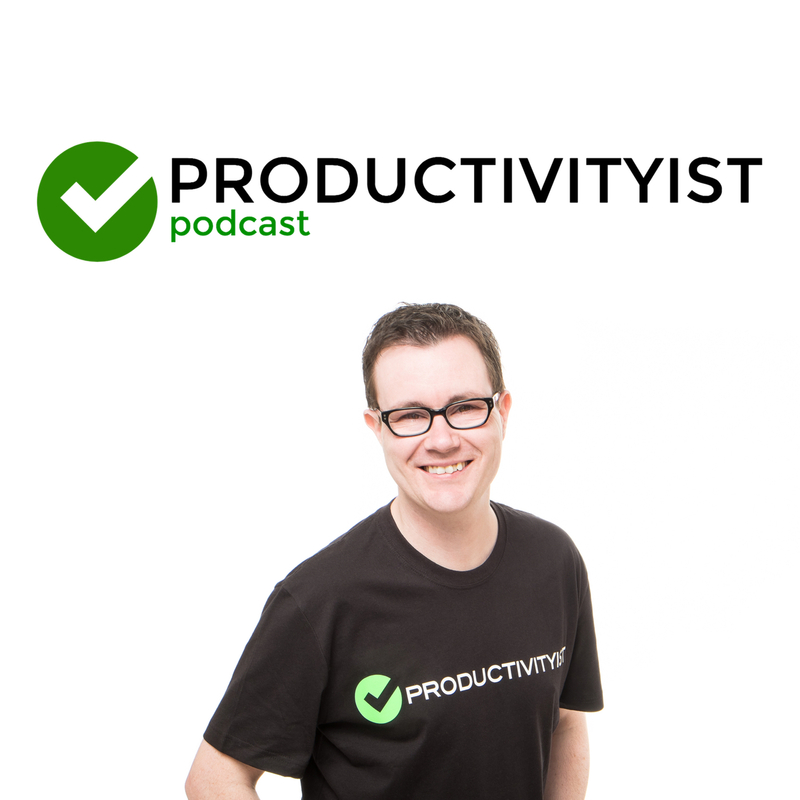 Today I am recommending The productivityist. The Productivityist is hosted by Mike Vardy. This podcast is all about productivity and is recommended to me by Claire — one of the ladies on my staff. It’s very very good! He has a great style of delivery he obviously knows his stuff and he has fantastic advice on how to get things done. Listen, learn, enjoy, and give him a rating too! Be sure and click over to Itunes and leave a rating and review on the Marketing for Owners Podcast as well. I would love to hear what you have to think. What kind of Lead Capture do you use?